Despite their traditional labels, Chateau Vaccant are actually relatively new (comparatively speaking!) on the Bordeaux wine scene, having only planted the majority of their vines in the mid-1990s. They had serious credentials, however, with the family having been involved in wine production for 3 generations. Their wines made an immediate impact, however, because they sat outside the norm for this part of France. Yes, they took Cabernet Sauvignon and Merlot, but the results were so much fresher and lighter than what was being produced at neighbouring chateaux. This early success meant they could purchase more vineyard area and expand their production, now making half a dozen different expression from various sites. 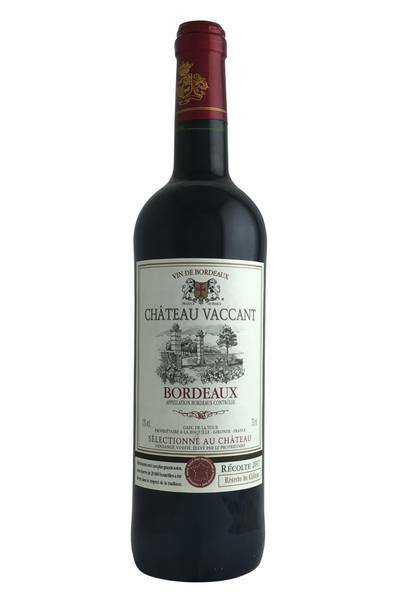 The emphasis remains however on easy-drinking wines of purity and freshness, wines that are reflective of the vineyards but without the heaviness and oakiness that is a common part of many wines from Bordeaux. An incredible translucent pink/red in the glass – very light looking, and this translates to the aromas straight away. The nose is very lifted, with bright floral notes of rose petal and lavender. The fruitiness of the wine is really appealing – lots of sweet raspberry and strawberry. Very approachable and easygoing – fresh, juicy acidity and not as much tannin as many wines from the region. Certainly more fruit-forward, but without the ‘bite’ of more traditional Cabernet Sauvignons. An incredible translucent pink/red in the glass – very light looking, and this translates to the aromas straight away. 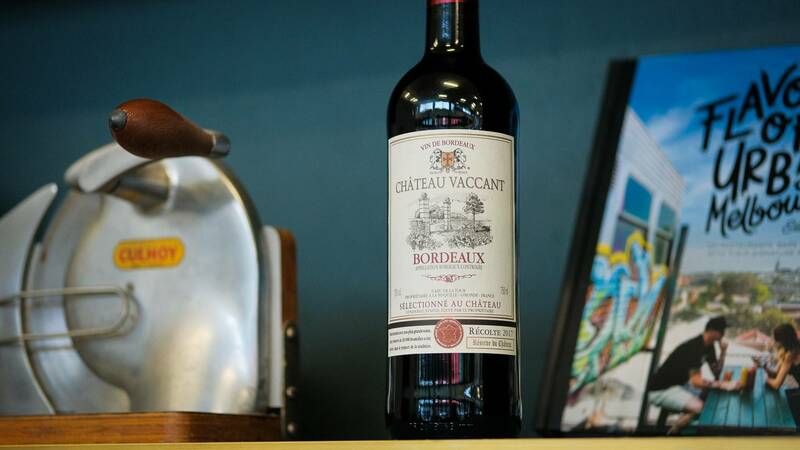 A great bottle of Cabernet Sauvignon (such as this beauty from Chateau Vaccant) is generally the kind of wine that gets saved for those late nights in with your friends, where it becomes the star of its own show, and is paired with little else but deep conversation and a sense that all is well in the world. However, there’s little doubt about the fact that it’s a top food-pairing wine, too, so long as you’re prepared to break out the big flavours in order to do it justice. This Cabernet is going to love being matched up with deep, flavourful offal dishes, which are becoming trendier year on year, as well as beef braised in a wine-based gravy, served with a side of green veg. It’s also a great wine for handmade burgers, kebabs, and kofta, and also works surprisingly well with classic Mediterranean meat dishes like moussaka. For those not so keen on heavy meat-based meals, this wine is also going to work nicely with aubergine, mushrooms (especially porcini) or grilled Mediterranean veg and herbs.